A NEW PIECE IN THE PUZZLE OF LIFE? The Reverend Richard Coles, another former pop musician, now broadcaster and vicar, was on a panel with Robin Ince at the Cheltenham Science Festival in 2013. He made a not dissimilar point to Brian Cox's about naivety and religion. "Most people stopped thinking about religion when they were 8," he lamented, implying that the popular view of religion was formed in the nursery and has barely escaped the land of Narnia. Spurred by that provocative comment, we have invited him to come and speak to the Wychwood Circle on March 8th at Milton under Wychwood village hall on the theme, "Christianity for grown-ups." On February 1st we hold our first open discussion of 2015 with a further look at the book by very different biblical scholars, Marcus Borg and N T Wright, which was our springboard in December, The Meaning of Jesus: Two Visions. Our theme this time will be their contrasting visions of Jesus and The Christian Life - the subject of the final two chapters in the book forming Part VIII (about 40 pages). As always, anyone is welcome as long as they have read the relevant piece for discussion. 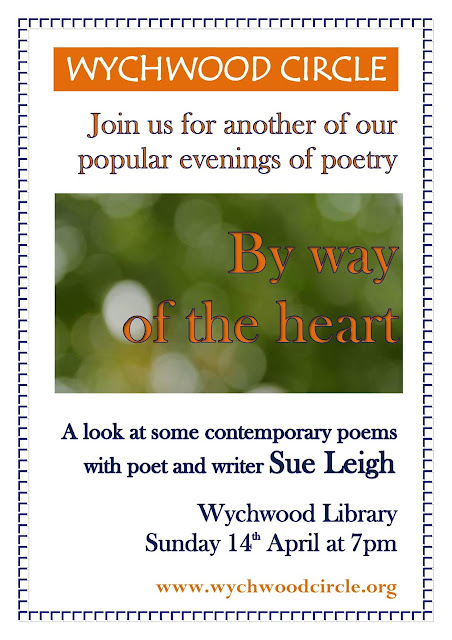 Wychwood Library, 7pm. On March 8th we welcome the Reverend Richard Coles, ex-Communard and vicar of Finedon, who is well-known to listeners of Radio 4's Saturday Live. His topic will be CHRISTIANITY FOR GROWN-UPS. April 12th sees our second speaker of the year, former comedy magician and actor Geoffrey Durham, who is now better known as an author, creative consultant and outspoken Quaker. He has appeared on Radio 4's Thought for the Day and has written two introductions to Quakerism, Being a Quaker and The Spirit of the Quakers.